Anghami has a super new TV ad! It defies stereotypes - and that is the point. Dads who dubstep? Teens who love classical (oldies)? Bankers who rock? Teachers who rap? 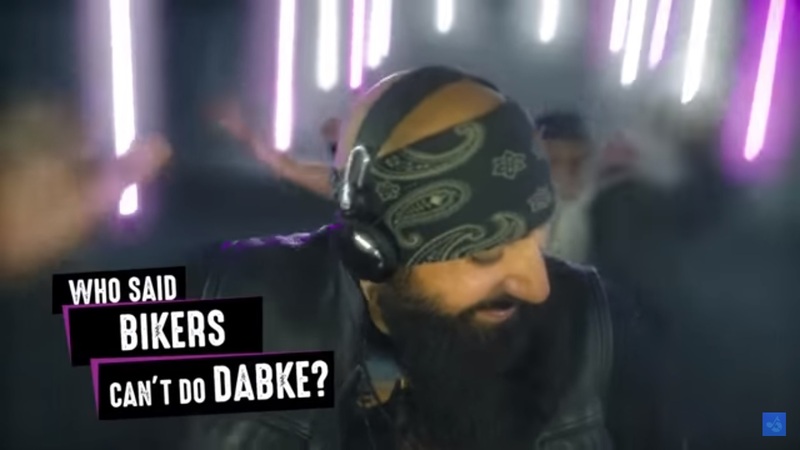 Bikers who get high on Dabke? Bollywood going Tarab? You name it is there. Whereas it reminded me a bit of the Hard Rock Cafe ad "You know who you are" (check it below) I still think it is an inherently fresh take for them - especially that they even supplied an ad in Arabic in what seemed like Egyptian dialect. I really love how fresh and in your face the ad is, and how adaptable it is to the region - moonwalking in the traditional thobe (Arabic robe)? Bring it on!